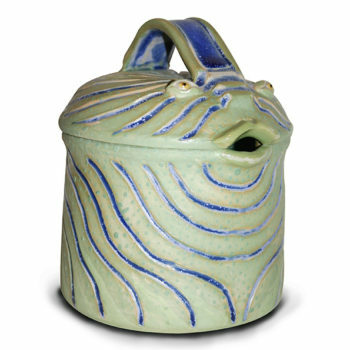 Traditional shaped teapot in sea blue. 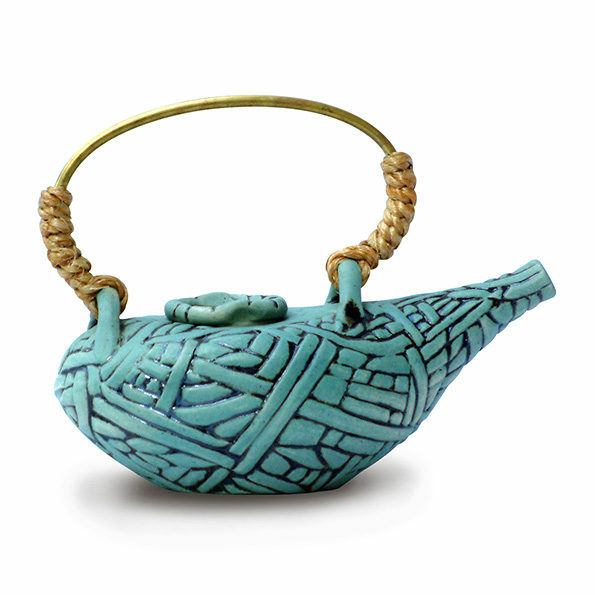 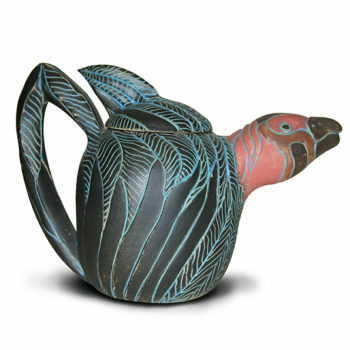 Beautiful traditionally shaped teapot in sea blue with an intricate detail of weaved string. 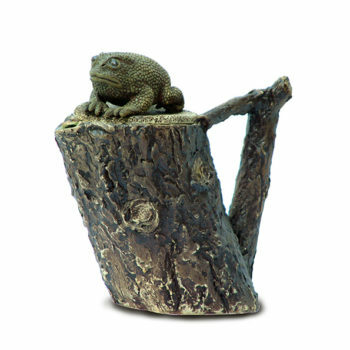 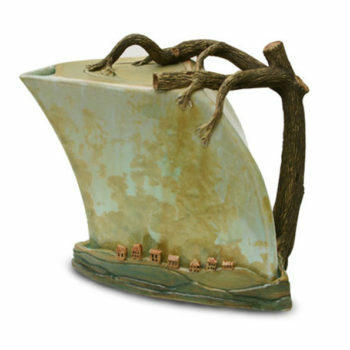 Handle – hand made from copper and weaved into the teapot shape with a rough natural string.